Unconventional training using unique implements (kettlebells, sandbags, clubs etc.) and methods (gymnastics, calisthenics, strongman, etc.) 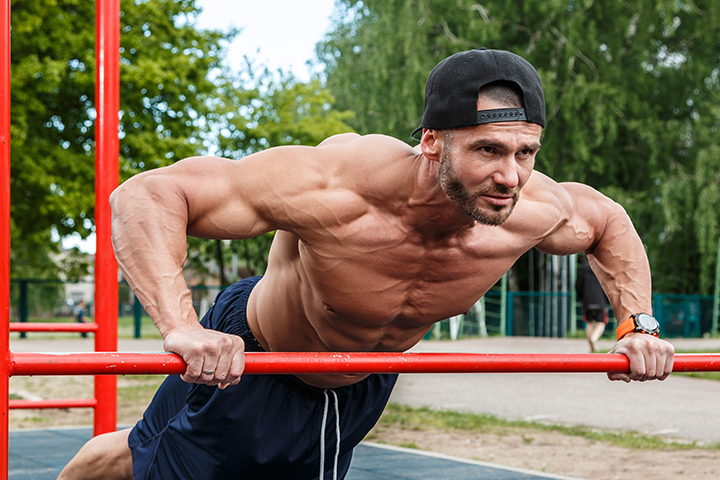 are often seen as the staple of the super-fit, strong and young. While these methods and practices are becoming more commonplace, what value do they have for beginners who want to improve their health and fitness? And furthermore, would they need to be modified to ensure applicability and safety in this diverse population? This article will discuss the rationale for an unconventional approach to training beginners and suggest example exercises and programs. It will also share some of my experiences of working with beginners in both a commercial and rehabilitative capacity. It should be noted that “training for” any broad population is necessarily very complex and that making specific recommendations is both challenging and complicated. ● Machine-based, often seated, resistance exercise. ● A focus on aerobic exercise, over and above strength and functional movement. ● An abundance of mobility aids that reduce the physical requirements of the individual. I would argue that this conventional approach to health and fitness can be largely ineffective in supporting the needs of beginners. My experience has been that improving an individual’s ability to move comfortably has a far greater impact on their daily life and health than anything else. That, in turn, directly improves quality of life. Of course, any training program can be impacted by other factors such as disease and obesity, but these can be treated both independently and as part of the overall goal of the program. Having worked extensively in the commercial fitness environment and rehab fields, I can say that the majority of coaches and trainers default to a “better safe than sorry” policy when working with beginners. This typically leads to a disparity between the goal setting process and the practical implementation of any program. It is easy to categorize a certain type of training or equipment as being “unconventional” or as leading to a certain type of result. Our industry is guilty of this over and over again. The important thing to consider when approaching a large, diverse population is that we are examining the probable result of applying the principle rather than a 1+1=2 approach. Therefore, I think it’s important to further qualify the desired results from this unconventional approach. When we elect to try kettlebell training instead of the step class, barbell strength program, or a resistance machine circuit, what are we really trying to achieve? We want to gain the results that are typically associated with those activities. If you don’t first set out those goals then it becomes increasingly difficult to both implement and adapt your training options to achieve optimal success. I believe training for beginners should be focused on function above aesthetics; so much of my work has been centered on basic human movement patterns. This approach makes it relatively easy to construct a sound program and monitor progression and regression in each area. The bodyweight squat is a simple movement pattern that can be progressed or regressed through altering the level of support, range of motion, or resistance. The squat is comparable to sitting down and standing up. The lunge is a vital movement pattern that has good transfer into walking, stair climbing, and picking up things from the floor. Again, it can be progressed or regressed through the level of support, range of motion or resistance. A classic deadlift movement is not only an excellent exercise to strengthen the posterior chain but is one of the most functional of daily movements – picking up an object from the floor. The deadlift can also easily be performed in any environment e.g. with a holdall, shopping bag, or suitcase. The range of motion and resistance can easily be adjusted and variations like the suitcase deadlift offer additional flexibility and progression. A standing resistance band pull offers a great antagonist to the resistance band push. As with the push version, the resistance band pull can also be performed from a seated position if necessary. A standing resistance band rotation is effective in developing both rotational strength and balance. Like the resistance band push and pull, it can be performed from a seated position if necessary. The ability to walk is such a fundamental part of daily life that it should be a priority in any training program, and specifically one aimed at beginners. This can mean that the training program actually contains walking or that it is constructed to help enable a healthy gait (most likely it will be a combination of both). For those that have traditionally thought of unconventional training as an unsuitable option, it is time to change that attitude. The value of unconventional training comes not in the range of implements and methods that can be used, but in the way that the training can be made applicable to diverse populations. Applying sound coaching principles with an unconventional approach can produce amazing results. 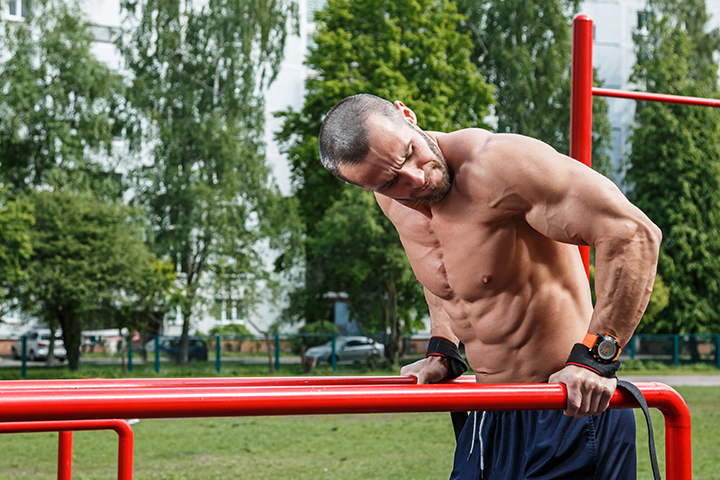 Check out my 4 Reasons Why Everyone Should Consider Unconventional Training. Matt Palfrey is a strength and conditioning specialist, consultant to the healthcare and fitness industry and the author of the Sandbag Fitness Blog - a free resource for those wishing to incorporate sandbag lifting into their strength and conditioning programme. 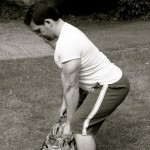 The Sandbag Fitness Blog contains information, tips and daily workouts for people to follow. Matt is based in the UK and his current clients include pro MMA athletes, individuals and a number of private sector health and fitness organisations.